I went to Historical Museum in Himeji today. 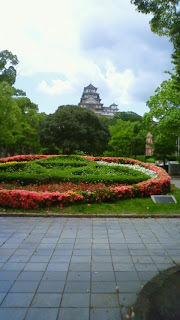 Himeji is a place with Himeji Castle that is World Heritage. Himeji Castle is very beautiful, and solemn. It is known as an impregnability. There is a pond in the outside frame, and the carp is swimming gracefully. And, here and there, there is a labyrinthine passage about the castle on the premises. By the way, I went to the special exhibition of Historical Museum. What is the special exhibition? 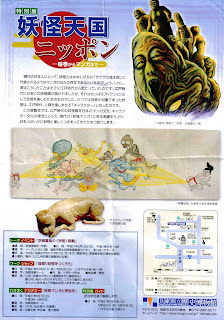 It is a picture of the monster drawn in Japan. 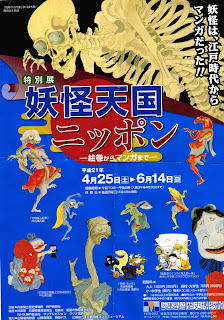 It introduced monsters who had been drawn by the ukiyoe. And there were many monster who were drawn even by the cartoon, too. I thought it to be a very interesting. There was a zoo to be near! I went there after it had finished had seen. Today was fine, and so good day!